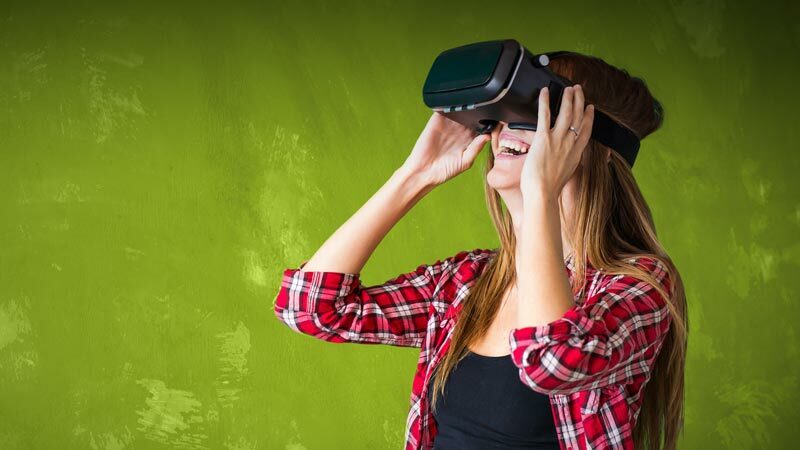 Life on the bleeding edge of technology can be confusing, so when it comes to immersive content it’s crucial to know your VR from your AR, MR, TR and IV. 360 degree video, often referred to as Immersive Video, allows the user to watch a whole panorama of live action video from a fixed point. The environment is real and the user controls where they look for an immersive 360 video experience. Videos can be watched using a mobile device on YouTube and Facebook. Virtual Reality is predominantly a computer-generated environment that the user can freely explore and interact with. It is largely created through gaming software and is experienced through a Head Mounted Display, one or two screens viewed through lenses at close proximity. What it lacks in photo-realism it makes up for in freedom of action. Augmented Reality enhances our view of the real world by adding computer-generated images (CGI). Broadcast AR adds 3D CGI to the studio environment, while Mobile AR adds CGI to real-world objects that become visible through mobile devices, like Pokémon Go. The CGI elements don’t interact with their environment but simply enrich it. Mixed Reality takes AR to the next level by enabling the CGI to interact with the real world. MR takes information from the real world and puts it into a headset so that the CGI responds realistically to the real world it occupies. The full possibilities and applications of MR are still being explored but are likely to feature as part of our everyday lives within the next five years. True Reality brings together all of these immersive styles and adds artificial intelligence so that the CGI can interact intelligently. Possible examples include a CGI concierge providing useful information, a travel companion providing real-time translations, and a personal assistant keeping track of important dates. Good examples of True Reality are still a long way off.